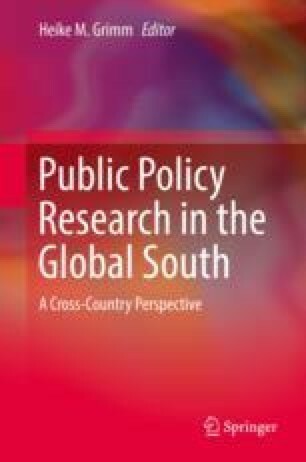 Among the different terminologies, the concept of the “Global South” has been applied to describe the division of the world into “poorer” and “wealthier” countries. Starting from the two Brandt Reports as reference points, it is argued that the concept of a Global North and Global South is still relevant today, as it conceptualizes global differences in economic power and political representation. It is important to acknowledge different needs and interests between the two poles. Ignoring the divide may lead to ineffective policy outcomes, especially for issues with common interest to all. It is advocated to increase knowledge and data production in the South as well as a bottom-up policy approach that incentivizes entrepreneurship and innovation, so that egalitarian conditions for negotiations and representation can be established.